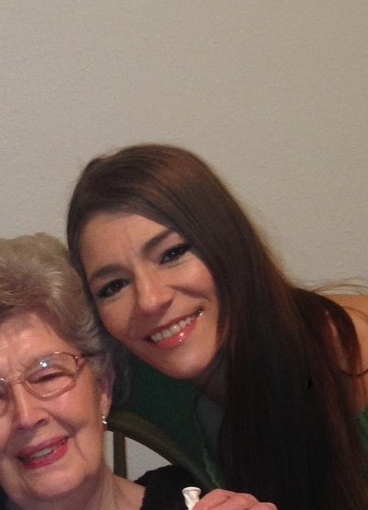 Billie Gayle Constant, 38 of Middleburg, FL went to be with her Heavenly Father on Saturday, January 19, 2019. Billie was born in Portsmouth, Virginia and moved to Florida in 2011 from Chesapeake, VA. She was a member of St. Luke Catholic Church. A very loving, caring person who enjoyed life and made others laugh will be how Billie will be remembered by her family and friends. Her talent with makeup is where her passion was and helping others learn the art was rewarding to Billie. She will be sadly missed. Billie was preceded in death by her father, who she has joined in heaven, Bill Constant, and is survived by her children, Taylor Constant (Taylor’s father, Steve Lonas) and Mason Hansen (Mason’s father, Jason Hansen), mother, Becky Constant, sisters, Jenny (Billy Smith) Gillen and Gwen (Brian) McDonald, nieces and nephews, Maranda (Clark), Cody (Kristina), Joshua, Samantha (Marcus), and Sydney and many extended family members. A Mass of Celebration of Life will be held 1:00 PM Saturday, January 26, 2019 at St. Luke Catholic Church of Middleburg with Reverend Andy Blaszkowski officiating.